i. Basic details of the Taxpayer i.e. Name and Address along with GSTJN. ii. Period to which the Return pertains. 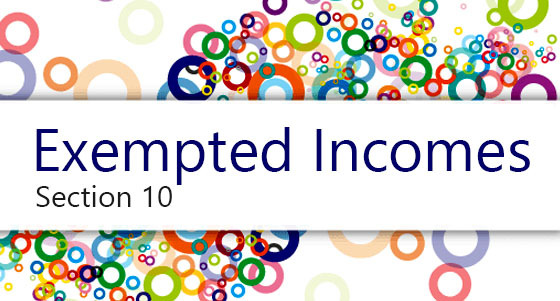 iii Turnover Details including Gross Turnover, Export Turnover, Exempted Domestic Turnover, Nil Rated Domestic Turnover, Non GST Turnover and Net Taxable Turnover. iv. Final aggregate level outward and inward supply information. These details will be auto populated from GSTR-1 and GSTR-2. v. There will be separate tables for calculating tax amounts on outward and inward supplies based on the information contained in various tables in the GSTR-3 return. vi. There will be a separate table f or capturing the TDS credit received and which has been credited to his cash ledger (the deductee). vii. Tax liability under CGST, SGST, IGST and Cess. viii. Details regarding revision of invoices relating to outward and inward supplies. ix. Details of other liabilities (i.e. Interest, Penalty, Fee, others etc.). x. Information about ITC ledger, Cash ledger and Liability ledger (these are running electronic ledgers maintained on the dashboard of taxpayer by GSTN). These would be updated in real time on an activity in connection with these ledgers by the taxpayer. Both the ITC ledger and the cash ledger will be utilized by the taxpayer for discharging the tax liabilities of the returns and others. Details in these ledgers will get auto populated from previous tax period return (irrespective of mode of fifing return i.e. online/offline utility). xi. Details of ITC utilized against tax liability of CGST, SGST and IGST on supplies of goods and services. xii. Net tax payable under CGST, SGST and IGST. xiii. 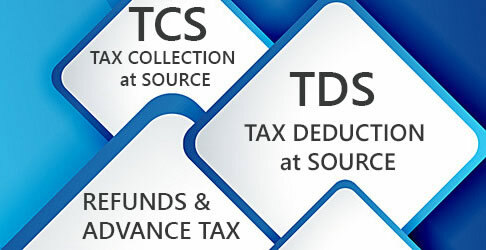 Details of the payment of tax under various tax heads of CGST, SGST and IGST separately would be populated from the debit entry in Credit/Cash ledger. GST Law may have provision for maintaining four head wise account for CGST, SGST, IGST and Cess and at associated minor heads for interest, penalty, fee and others. Excess payment, if any, will be carried forward to the next return period. The taxpayer will have the option of claiming refund of excess payment through the return for which appropriate field will be provided in the return form. The return form would display all bank account numbers mentioned in the registration, out of which one will be selected by the taxpayer to which the refund will be credited. xiv. Details of other payments - Interest/Penalties/Fee/Others, etc. This will be auto populated from the Debit entry in Cash ledger irrespective of mode of filing i.e. online/offline utility. xv. Details of ITC balance (CGST, SGST and IGST) at the end of the tax period will be auto-populated in the ITC ledger irrespective of mode of filing return. In case of net exporter or taxpayers dealing with inverted duty structure or similar other cases, where input tax credit is greater than output tax due on supply, the taxpayer would be eligible for refund. The return would have a field to enable the tax payer to claim the refund or to carry forward the ITC balance (CGST, SGST and IGST). The return form should display all bank account numbers mentioned in the registration, out of which one will be selected by the taxpayer to which the refund will be credited. xvi. 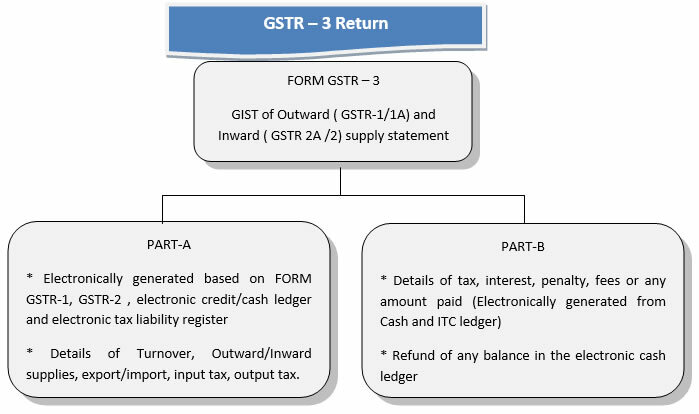 Details of cash balance (CGST, SGST and IGST) in personal ledger at the end of the tax period (this will be auto-populated irrespective of mode of fffing return). xvii. Information regarding quantity of goods (as per Unique Quantity Code) supplied will not be contained in the monthly return. However, the same would be submitted by the taxpayer in the annual return. The format of the annual return would have a suitable field for this purpose.